Hugh Pavitt holds a Masters Degree in Public Administration from Southern Illinois University Edwardsville, a post-graduate diploma in Business Management and Marketing from the College of Estate Management at Reading University (Reading, England), and a Bachelor of Science Degree in Urban Land Economics from Sheffield-Hallam University (Sheffield, England). He is also a member of the Royal Institution of Chartered Surveyors. 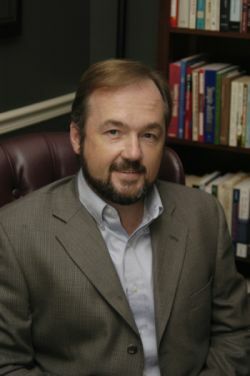 He has previously held positions as a Research Associate with the Center for Organizational Research and Development at SIUE, a regional manager with Colley's Professional Services (a nationwide real estate services company based in London), and a department manager for Andrew Butler and Company (Nottingham, England). 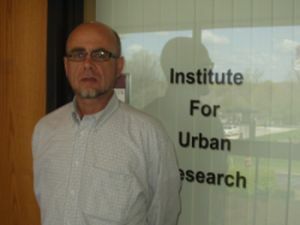 While at SIUE, Mr. Pavitt has worked extensively in survey research, providing survey and database design/management, data collection and data analysis services to a wide range of clients including SIUE administration and faculty, as well as to the University's external clients in Illinois and Missouri. His previous experience includes the development and implementation of organizational assessments, program evaluations and needs assessments, survey research, environmental scanning, wage and benefit studies, jobs evaluation, team building, and strategic planning. He also has several years of experience as a real estate appraiser and has been involved extensively in quality assurance programs such as ISO 9000. Rhonda Penelton earned her Master of Public Administration degree from Southern Illinois University Edwardsville and her Bachelor of Science degree in Political Science from Illinois State University. Ms. Penelton was previously employed as a Research Associate in the Center for Organizational Research and Development and worked in the Office of Area Development of SIUE. 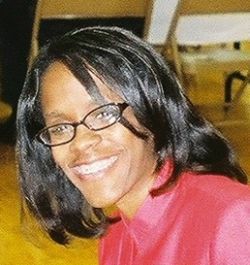 Prior to joining the staff of the university, Ms. Penelton worked as an investigator in the Equal Employment Opportunity Office of the City of Peoria, Illinois, and in the probation office of Peoria County. Ms. Penelton has fifteen years of experience in survey research, project management and program evaluation. In 1988, she served as a co-investigator of an evaluation of a Police and Children Together (PACT) program as funded by the Illinois Juvenile Justice Commission. She has served on various research teams responsible for evaluating such projects as Quality Educational Systems of Alabama's (QuESt) school reform model as part of a comprehensive school reform initiative sponsored by the U.S. Department of Education, a mental health service delivery demonstration project funded by the Illinois Department of Pubic Aid and the Moral Reconation Therapy of the Franklin/Jefferson County Evening Reporting Center Program as sponsored by the Illinois Criminal Justice Information Authority. Andrew Theising was named director of the IUR in 2007. Dr. Theising is an Associate Professor of Political Science and teaches courses in state and local government, public administration, and ethics. His earned the Ph.D. in Political Science from the University of Missouri-St. Louis in 1997. He has been a full-time faculty member at SIUE since 2002, and affiliated with the campus since 1996. Previously, he worked for the University of Illinois-Urbana/Champaign's East St. Louis Action Research Project as director of the program's East St. Louis field office, and for FOCUS St. Louis, the region's citizens league, as a director of the organization's public policy initiatives. 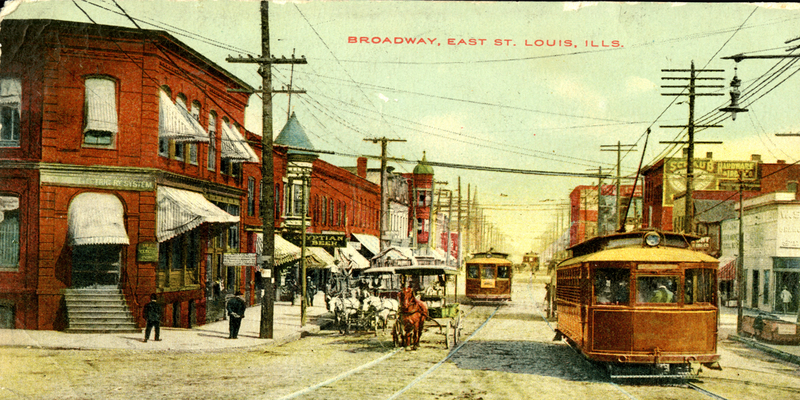 Dr. Theising is the author of the award-winning book Made in USA: East St. Louis (2003, Virginia Publishing) as well as numerous papers and articles on industrial suburbs, economic development, and urban problems. His work has been used by media nation-wide, including The Atlantic Monthly and The New York Times. He is a member of the American Political Science Association, the Midwest Political Science Association, the Urban Land Institute, the Urban Affairs Association, and the Greater East St. Louis Chamber of Commerce. Christen Gates is a graduate student in the Environmental Science Department. She is a Graduate assistant who helps IUR staff conduct research.